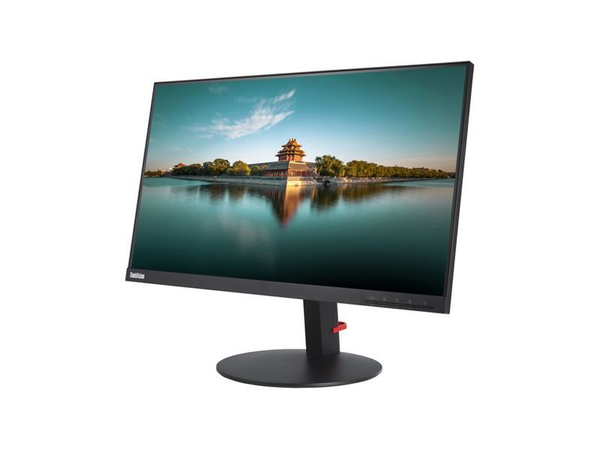 The ThinkVision T24i-10 monitor has a black and concise appearance with a full function ergonomic stand. It offers a clear display of 1920x1080 resolution with near edgeless IPS type screen, providing vivid images from a wide viewing angle. With built-in power and the rich connectivity of VGA, HDMI and DP, T24i-10 satisfies diverse connection demand. T24i-10 also has 4 USB3.0 ports, including 1 with BC1.2, which offers quick charge to your USB devices. Its full function stand supports lift, tilt, pivot CCW/CW 90 degree and swivel, which are all for your ease of use.